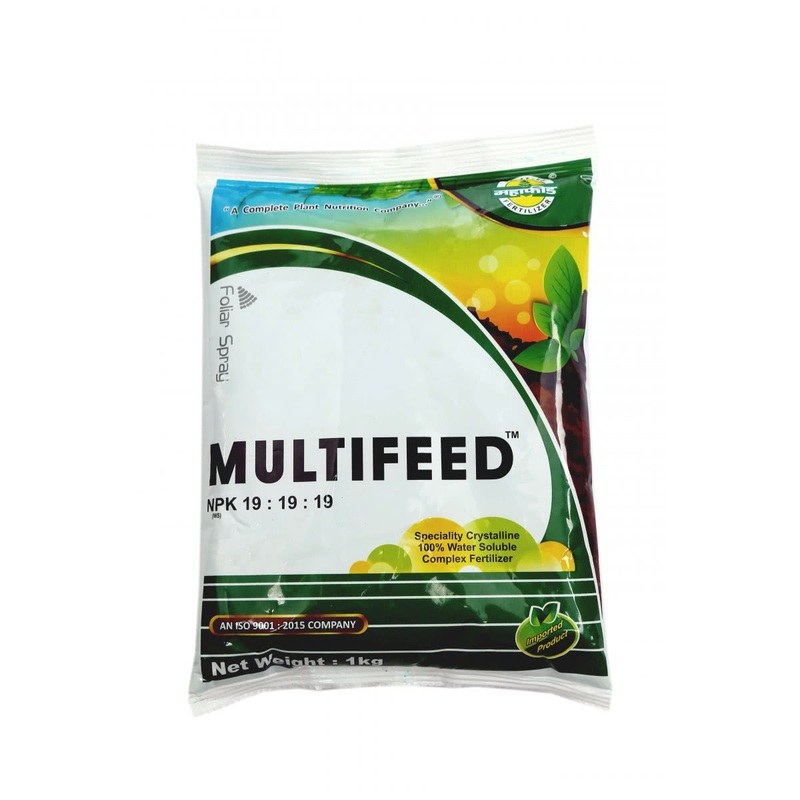 This fertilizer has the potential to fulfill any deficiency of one or all three major plant nutrients. 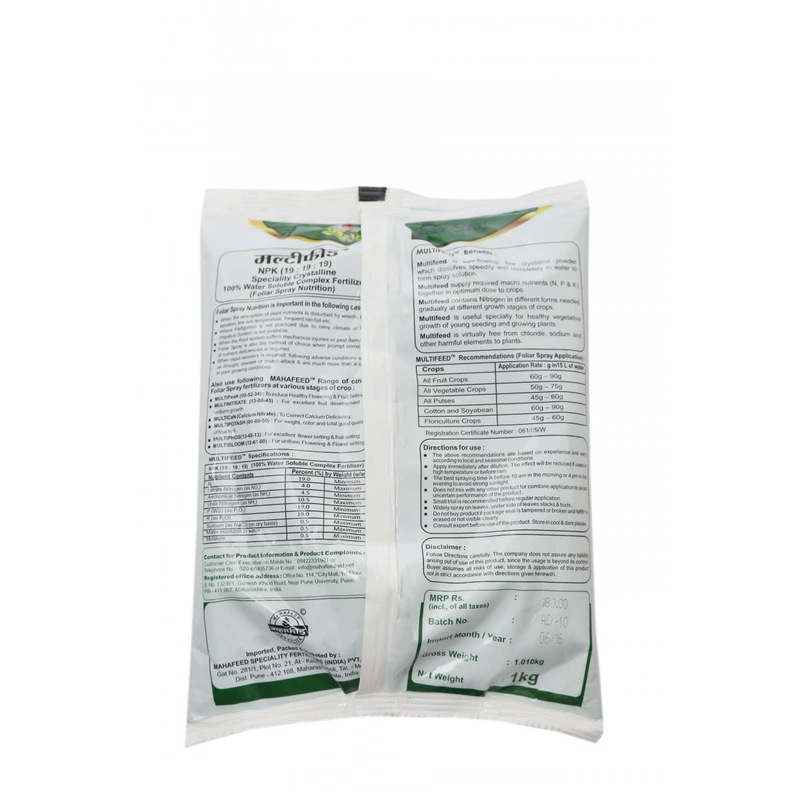 Its uses minimizes the need of synthetic fertilizers that are harmful to the environment. 19% Nitrogen (4.5% Ammonical Nitrogen + 4.0% Nitrate Nitrogen + 10.5% Ureic Nitrogen), 19% Water Soluble Phosphate, 19% Water Soluble Potash. All Fruits Crops : 60 gm - 90 gm in 15L of Water, All Vegetable Crops : 50 gm - 75 gm in 15L of Water, All Pulses : 45 gm - 60 gm in 15L of Water, Cotton and Soyabean : 60 gm - 90 gm in 15L of Water, Floriculture Crops : 45 gm - 60 gm in 15L of Water.